In 2008 our industry bought and paid for the trajectory of what has become an industry unto itself: radiation dose management. Overexposures of neuro-perfusion studies at Cedars-Sinai and the botched execution of a pediatric brain CT at Mad River catalyzed what can only be described as a wake-up call for the medical imaging community. The onslaught of press from every major industry publication and mainstream media outlet made it clear; X-rays can be harmful if used inappropriately. Most if not all of the stories captured the imagination with how little we seemingly know about the cancer-causing, cataract building, hair eliminating, DNA-damaging, skin burning radiation! The truth is, however, that no matter where you are in the increasingly spirited divide on cancer risk, one thing is without debate… all technologists must perform imaging studies with dose that is as low as reasonably achievable (ALARA). But we also must prove that we are doing what we say. That is where we are at this moment in time in the 8-year fall out from those overexposure events. The burden of proof has fallen upon the medical imaging industry, and many service providers are scrambling to assimilate or install some form of dose management program to meet increasing standards. Unfortunately, many are pursuing solutions with a sense of direction that is foggy at best: just check the box and move on to the 100 other things we have to do before lunch. 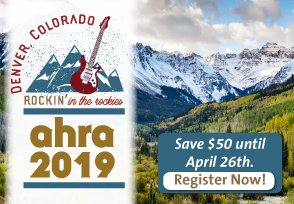 I’ll join our membership at the AHRA Annual Meeting this summer, and I look forward to sharing a story of how our collective energy should be spent developing a culture of constant dose awareness where it matters most, mitigating short term risk and putting long term risk in perspective. Activities associated with returning to the craft of what we do can only result in exposures that are ALARA and remain a simple byproduct of dose sensitive cultures with clear direction. My session, “Learning from a Large-scale Health System’s Journey Toward Constant Dose Awareness,” will take place at 2:30 PM on Sunday, July 31. See you in Nashville! Crockett Bone, MBA, RT(R)(CT) is the director of imaging at HCA Healthcare in Nashville, TN. He can be reached at crockett.bone@hcahealthcare.com.